Last week on the blog, we shared how selling out tickets for a charity event is a great aim - but it's not the ultimate goal. For long-term event sustainability, you want the right people at the event: people with the desire and spending capacity to support your cause. Quality of guests beats quantity every time. Same goes for your nonprofit's overall sustainability. A major component of successful development is identifying and cultivating relationships with high net worth donors. 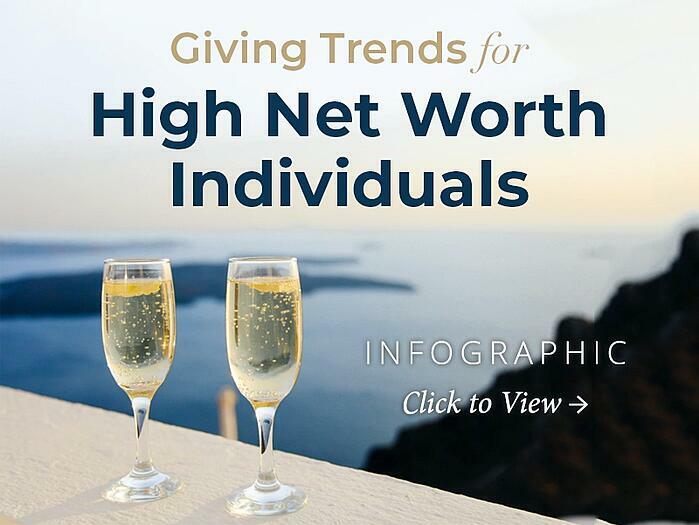 In this new infographic, we share must-read statistics on the giving trends of high net worth donors today. See how these donors are not only giving more, but giving more often; what causes they're supporting most; the top reason they stop giving, and more. 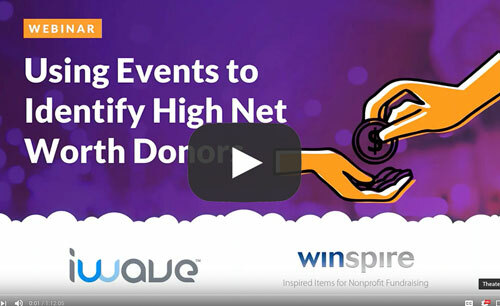 Watch our recent webinar with iWave all about identifying high-net-worth donors! Get the strategies you need to promote your event to the right people, create an exclusive event community, cater live auction items to major donors, and maximize post-event follow up. While compiling research for the infographic, we quickly discovered just how important this sector of donors is. High net worth donors are not only giving more in terms of donation size, they give more often than the average individual and to more organizations - with few plans to stop or decrease giving. Where can you find high net worth donors in your community: the local business owners, leaders, influencers, movers and shakers? As noted above, high net worth donors who also give of their time, give 56% higher gifts than others with the same spending capacity who aren’t giving their time. Offer regular volunteer opportunities like spending time with those you assist, serving on an advisory committee or becoming a board member. This is a great way to establish personal connections and long-lasting memories with every donor, not just those with high spending capacity today. Event sponsorships are the ideal opportunity to identify high net worth donors who may be interested in supporting your cause. Almost every sponsorship or underwriting can be classified as a major gift. For future sponsor retention, it's extremely helpful to overdeliver on your promises and stay in touch throughout the year. Use special events to generate leads on new major donors. 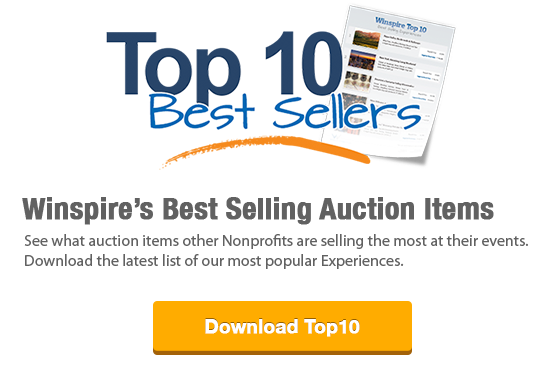 If you host fundraising events (as almost all Winspire News readers do! ), this step is critical to maximize the ROI on every event. Many charities host the annual fundraising gala, run/walk, benefit concert and more with one goal in mind: to raise immediate, critical funds. As important as immediate funds are, the excitement, momentum and prestige of special events create the perfect opportunity to build relationships with high net worth donors.